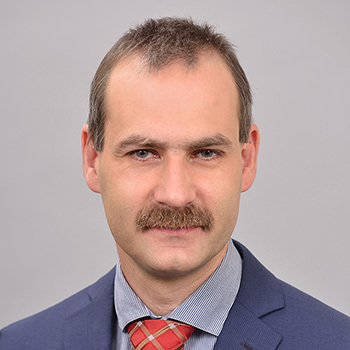 Zoltan Komaromi is responsible for the development and management of IDC research in Central and Eastern Europe. In this role, he manages IDC’s research team in CEE, leads the development of the research portfolio and IDC’s though leadership program, provides direct key-account support, and assures the close cooperation of research with other business lines in the region. Mr. Komaromi is also country manager of IDC Hungary, and has overall responsibility for all business lines of the Hungarian subsidiary. Joining IDC in August 2000 as a research analyst for IDC's Quarterly Tracker programs, Komaromi's primary focus shifted in 2001 to the Hungarian software, IT services, and IT solutions markets. For local and international clients, he manages custom consulting projects on various aspects of the Hungarian IT market, including specific segments of the packaged software market, go-to-market strategies, and channel development and assessment. Mr. Komáromi holds a BA in marketing from Babes-Bolyai University of Cluj-Napoca and a BSc in automation and industrial computing from the Technical University of Cluj-Napoca. Prior to joining IDC, he worked as a market research analyst with a leading international research company specializing in FMCG markets. Mr. Komaromi speaks Hungarian, English, Romanian, and Spanish.